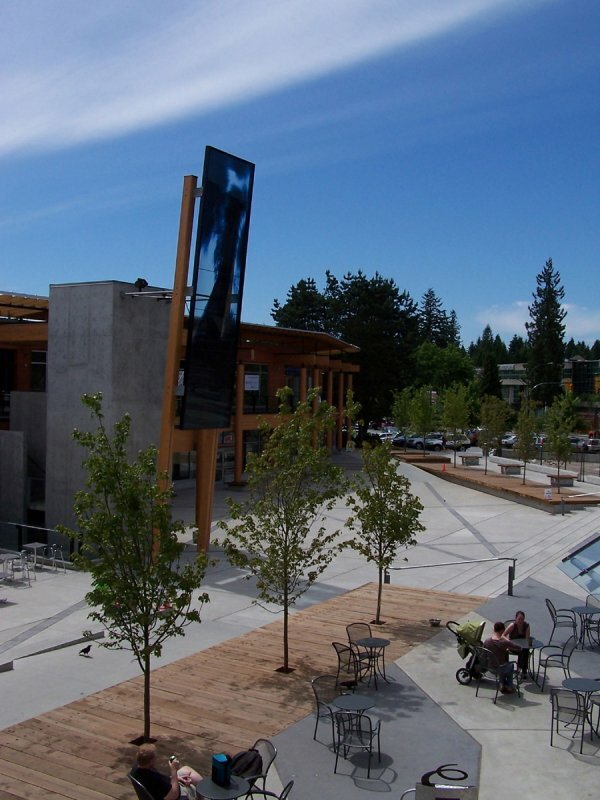 A 43’ high glass and glulam installation marks a public plaza and is visible from the library and all approaches. 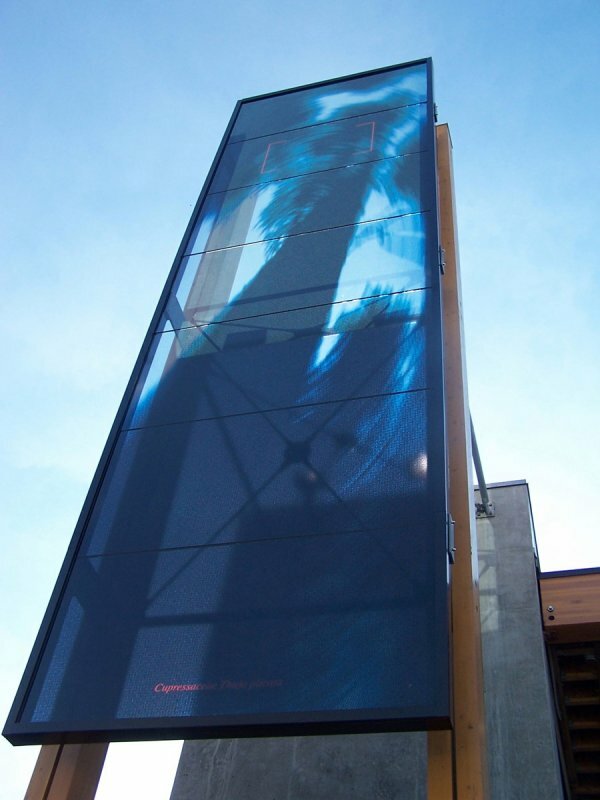 The glass has an abstracted, lifesize image of a cedar tree. 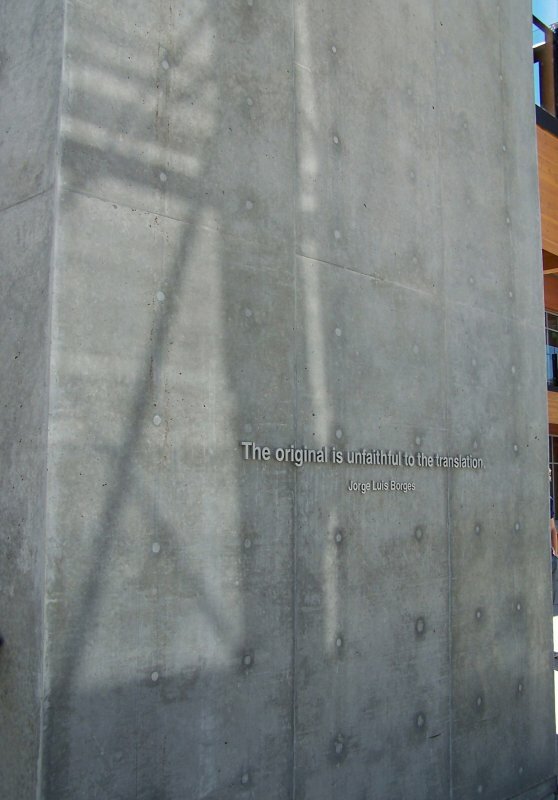 Framed by this sculpture, and set on the concrete wall behind, is a text installation which interprets the meaning of the imagery - the two are read together. 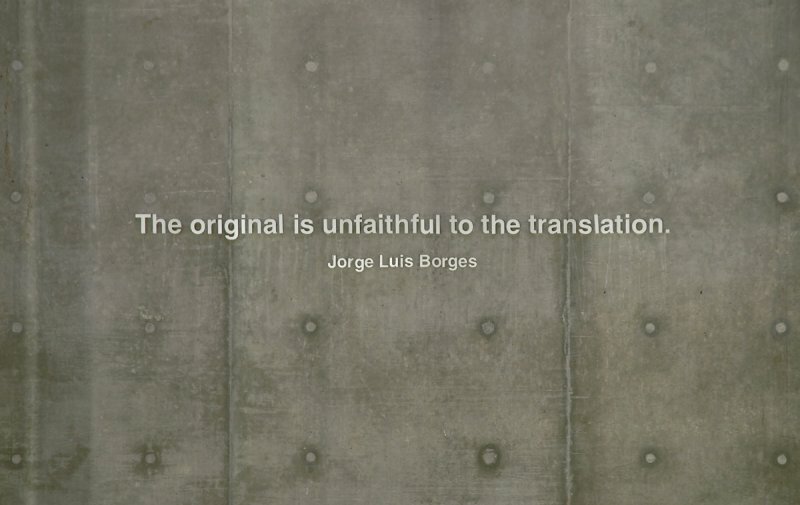 Expression of the idea that culture and language evolve, always in reference to an earlier version, always becoming something else. 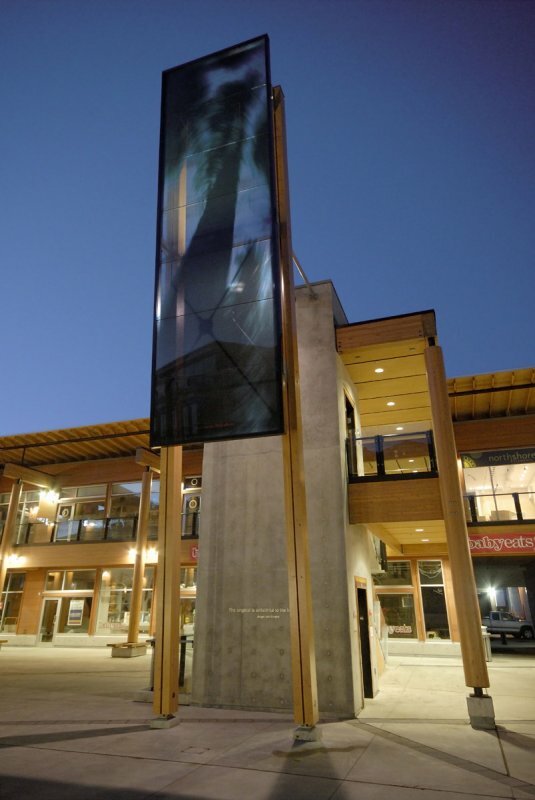 Arboreus is informed by the imagery of a giant cedar - a reference to the tree of knowledge, the historic logging industry of Lynn Valley, and the local forested landscape. Although the image appears to be a magnificent old grown cedar, lifesize, it is an abstraction, transformed in various ways (including scale, digital manipulation, media, transparency, sitting within an urban context) of an iconic historical photo: Pine Tree, Alexander Rodchenko, 1925. A further use of text is the latin phrase layered over the image: the scientific name for the Western Red Cedar, Cupressaceae Thuja plicata - a mislabelling.